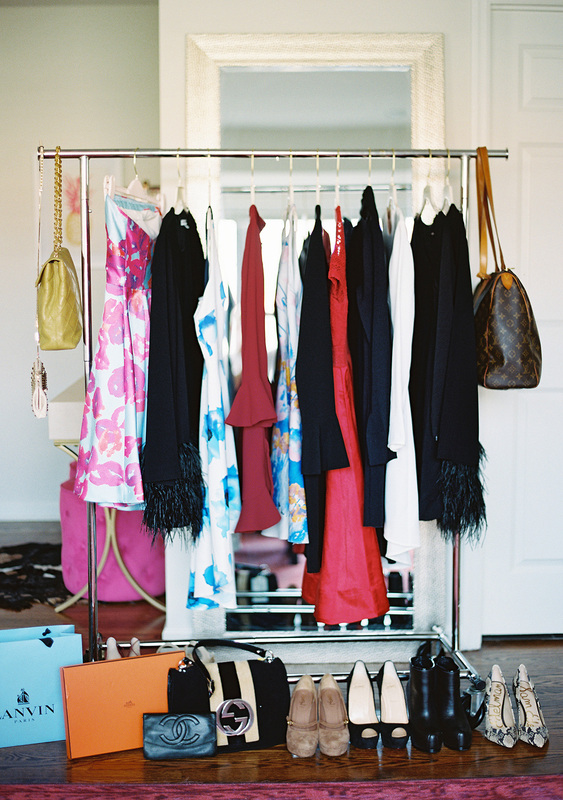 Do you have a closet full of clothes but nothing to wear? Looking to make your morning rush a little smoother? Just curious about what we do? Try one of our first time client packages to see what we can do for you! This is the first service we recommend to new clients. This “clean-out” typically takes about 2-3 hours, on average, and gives us an opportunity to get oriented to your wardrobe and sense of style. It entails a personalized one-on-one experience in which we go through all the pieces in your wardrobe, one by one (tops, bottoms, shoes, accessories, etc.) and conduct an “edit.” We’ll get rid of things that don’t flatter or work for your specific body type, as well as items that are dated, pilled, too small/too big. You’ll be trying on things as well. This process gives us a better understanding of what wardrobe essentials and pieces you still need in your closet. We consolidate! It’s a great way to simplify and purge, and helps us define your shopping list and needs. It’s also helps us get to know you and your sense of style, and show you new ways to wear and re-work the pieces you already have. This experience is intended to complete your wardrobe and provide you with the building blocks and foundational items you need to maximize your outfit possibilities. Each shopping trip is customized and tailored based on who you are, your lifestyle, specific needs, and personal sense of style. The shopping trip usually takes 4-6 hours, depending on the client. We act as your personal styling & shopping guides and curate the trip around your needs. You have the option of 1) shopping with one of our stylists one-on-one 2) having us pre-shop for you (pulling clothes in a dressing room, etc.) and then meeting later together to try on the clothes or 3) (our most popular option) we shop for you and bring everything TO YOU, so you can try on clothes in the privacy of your own home. Clients who work full-time enjoy letting us do the shopping and pulling then meet us afterwards to try on. Let us take care of you and bring everything straight to your doorstep. Our third and most popular service consists of us working within your closet, with all of your clothes (both old and new that we have bought) as we create head-to-toe ensembles, complete with accessories and shoes. We will show you how to re-work the things you already have and create new looks and tips for putting outfits together. We create anywhere from 60-120 outfits per season and categorize them (i.e. work, leisure, events, date nights, etc.). Afterwards, we compile them into an I-Cloud shared album or Pinterest board (your choice) so you have access to all of your outfits and ensembles on-the-go. If clients prefer, we can also provide a hardcopy Look Book (at an additional fee). The Look Book is unique to AH Styling and takes all of the guesswork out of getting dressed in the morning! Trust us, you’ll thank us – no more stressing over what to wear and where to wear it. We style everything for you! We love doing menswear styling at AH Styling, and all of our services are available to gentlemen as well. Need a closet reorganization and clean-out? An updated wardrobe with versatile and foundational staples? Custom suits made to measure? Styling for a special event? Contact us. Are you going on vacation for a few weeks? Let us put together all of your outfits based on your itinerary and needs. We consolidate, accessorize, take pictures, and help you pack for your impending trip. Our stylists are available for editorial photo shoots and print, catalog, and commercial fashion styling. For booking information and rates, please contact Annie. Our hourly rate is $150/hour. This applies to everything from personal shopping, returns, Look Book styling, etc. Associate stylist rates are available; please see our services contract for all payment and cancellation policies.